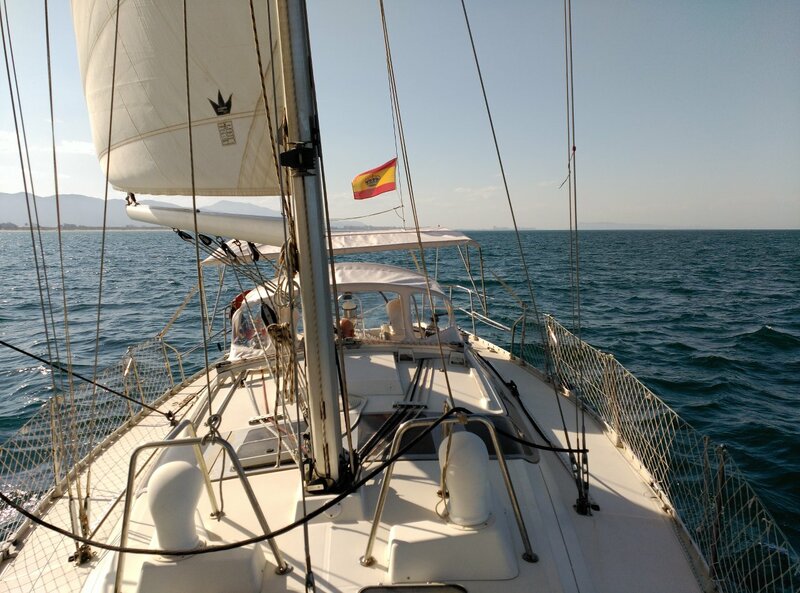 Our charter sailboats cruises the Mediterranean seas from our base in Gandia, Spain! Have a look at our three jewels! Mumin – a 35 foot Hallberg-Rassy. Who has not ever wanted to sail a Hallberg-Rassy? It is perfect for both summer and winter sailing. Satchmo – a fancy 12 meter sailboat for 6 people. Mumin is the most seaworthy sailboat in our fleet. Ideal for 4-6 people. It has two double cabins + saloon with two fair sized sofa berths and a toilet cabin with shower. It is a great boat to sail both summer and winter. If you like sailing you will enjoy Mumin. Do not miss the chance to sail with a Hallberg-Rassy! 15/October/2016 – 10/March/2017 and 14/October/2017 – 9/March/2018. 11/March/2017 – 30/June/2017 and 2/September/2017 – 13/October/2017. Check the boat availability and book your holidays! Satchmo is a fancy 12 meters sailboat. It has 3 double cabins and 2 toilet cabins. The boat can take up to 8 people, but it really is a comfortable boat for 6. It has a galley and main cabin with two single berths. It is a tough boat and very seaworthy. The kind of sailboats produced before with solid wood interior without compromising on quality.